This article was originally published on May 17, 2010, in the Shenzhen Daily. 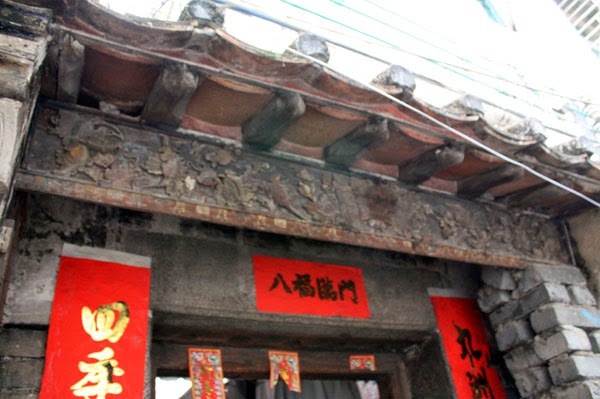 The "Xin'an Gucheng" (old city) in Nantou is rather well known. The museum located on the north side of Shennan at Nanxin Road gives a good interpretation of the area that lies to its northeast, bordering Zhongshan Park. But did you know that, southwest of the Walmart Neighborhood Store, more remnants of the "gucheng" still remain? 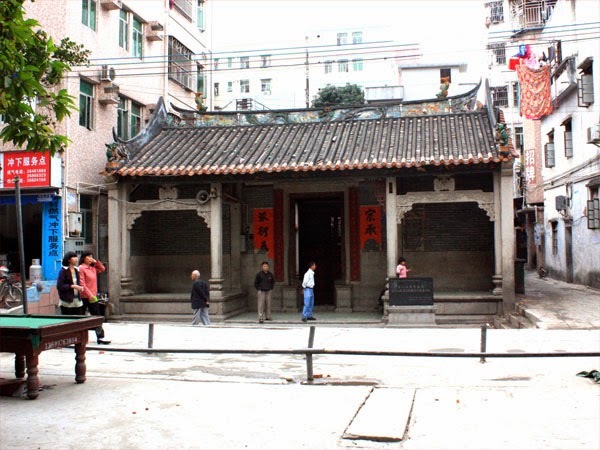 There is, for instance, the Guankou Xuanwu Gumiao, a temple dedicated to the Dark Lord also called Bei Di, or the "Northern Emperor." 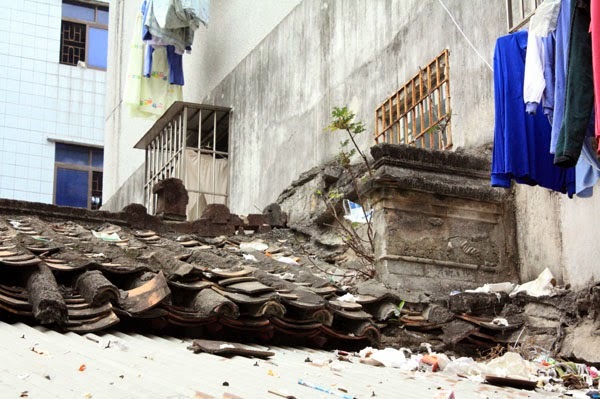 This truly ancient building (dating back to the Southern Song Dynasty, 1127–1279) is now in sad repair, and is being used as lumber storage. Still, by going around to the rear (the right as you’re facing the sign) you can see the remains of the roof decorations. 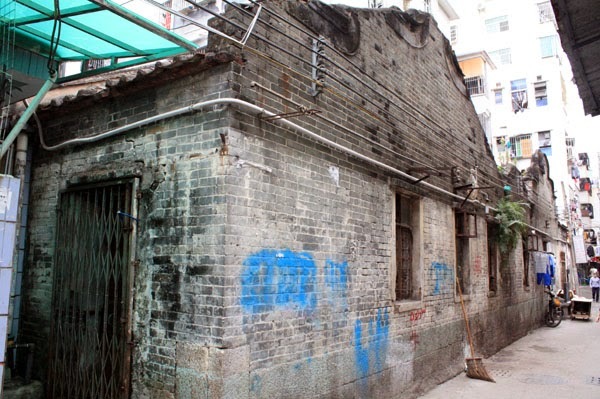 Find this relic by heading west on Guankou from Nanxin, then taking the alley slanting southwest. Turn left at its end and follow it south until you see the marker. 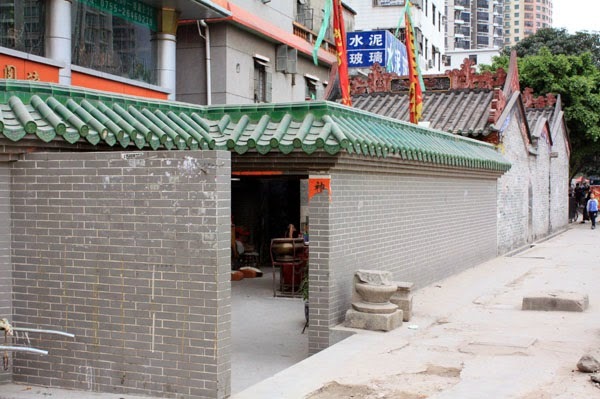 The Zheng Clan Hall is a typical village "hotspot."" Note the outdoor pool table on the left! Leaving there, wander southwestward into Yongxia Village. 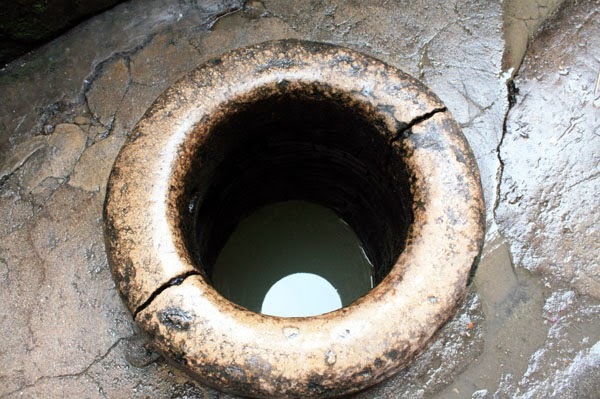 Along the way, watch for small wells (still in use); ancient door lintels; and the Zheng Clan Hall, a gathering place dating back to the days when this was Bao'an County. Reaching Taoyuan Road somewhere east of Qinghai, look around for the small Tian Hou temple, squeezed in between the street and a hotel.. Dedicated to the sea goddess, its altar faces west toward the water (now several blocks away). There's plenty more to see as you wander these streets. The people are very friendly (one guided me around for a half-hour, despite the language barrier), and the sights are distinctly different from Shenzhen's usual hustle and bustle. This area is near the one described in my article "Xin'an Ancient City."